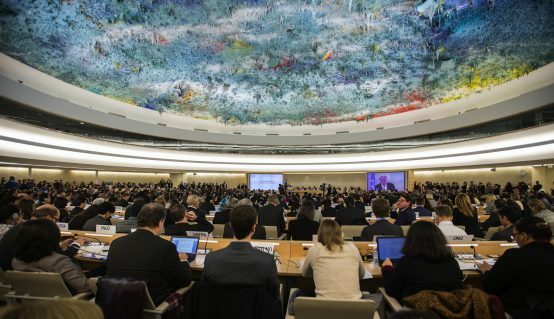 In February, the UN independent expert on foreign debt and human rights, Juan Pablo Bohoslavsky, presented new Guiding Principles (GPs) on human rights impact assessments of economic reform programmes to the 40th session of the UN Human Rights Council (HRC). The GPs, which were welcomed by a range of states, are the result of a two-year drafting process involving a wide consultation process, including with the IMF. They provide practical guidance to assist states, international financial institutions, such as the IMF and World Bank, national human rights institutions and other stakeholders in assessing macroeconomic reform policies against existing human rights law and standards. European civil society organisations have called on their governments, the European External Action Service, which acts as the European Union’s diplomatic service, and the Council of the EU Working Party on Human Rights to endorse and make use of the GPs in a February joint letter; the IMF has yet to take a public position on the GPs. 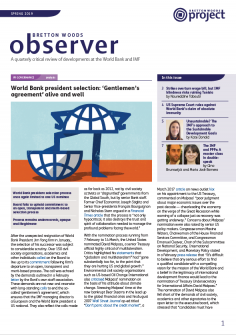 At one of the HRC panel discussions, Greece’s representative to the UN, Anna Korka, reflected on Greece’s experiences during its recent financial crisis under IMF and EU loan programmes (see Observer Autumn 2018). Citing limited policy space as “a great impediment” to the Greek government’s ability to take measures to alleviate the suffering of the most vulnerable groups, she noted that despite impact assessments becoming “the norm” in an international environment where, “due diligence in matters of human rights is evolving to be a precondition,” studying the impacts of the loan conditions in Greece was “simply not amongst the priorities.…Absolute priority was given to restoring business confidence and international competitiveness.” She added that, “A coherent way to proceed would have been to take into greater consideration the impact of fiscal consolidation and adjustment measures on human rights”, and that the GPs provide a “path forward” in doing that. Despite widespread evidence that the austerity programmes that followed the 2008 financial crisis had and continue to have a corrosive effect on the enjoyment of human rights, this approach remains the modus operandi of IMF programmes in particular, as demonstrated by Belgium-based NGO Eurodad in November 2018, finding that the bulk of IMF programmes continue to mandate fiscal consolidation. A January analysis by Timon Forster et al., also demonstrated IMF loan programmes increase income inequality. As the IMF continues to be the key external advisor to states on macro-economic policy decisions, with “no other institution coming close to that position”, according to IMF surveys, and with a number of its members states calling on IFIs to make use of the GPs during the HRC, policymakers will be looking to the World Bank and IMF in particular for their positions on this new tool. This will be particularly pertinent for states who have endorsed the GPs, such as Tunisia, Egypt, Jamaica and Pakistan, that are in ongoing or potential programme negotiations with the IMF. In those instances, the GPs could serve to strengthen the negotiating position of member states committed to protecting their human rights obligations in the face of pressure from international creditors.